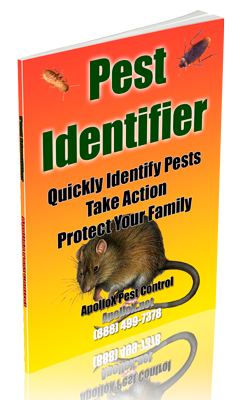 ApolloX Pest Control will remove roof rats from your home quickly, efficiently, and safely. 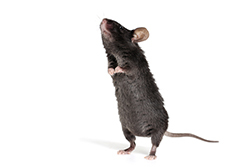 Roof rats, sometimes called black rats, are slightly smaller than Norway rats. 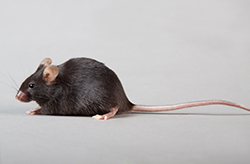 The typical roof rat is between 13 to 18 inches long, including its tail. In fact, it is distinguished from other rats by that tail, which is longer than the rest of its body. Roof rats are sleek, slender, and agile. Their have large ears. Roof rats are agile climbers and usually live and nest above ground in shrubs, trees, and dense vegetation such as ivy. In buildings, they are most often found in enclosed or elevated spaces such as attics, walls, false ceilings, and cabinets. 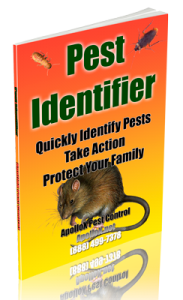 Once roof rats have invaded your garden or landscaping, unless your house is truly rodent proof, it is only a matter of time before you find evidence of them indoors. Roof rats can gain entry to structures by gnawing, climbing, jumping, or swimming through sewers and entering through toilets or broken drains. Roof rats, especially young rats, can squeeze beneath a door with only a 1/2-inch gap. If the door is made of wood, the rat might gnaw to enlarge the gap, but this might not be necessary. Roof rats eat a wide variety of foods, but they prefer fruits, nuts, berries, slugs, and snails. Roof rats are especially fond of avocados and citrus. Their favorite habitats are attics, trees, and overgrown shrubbery or vines. Roof rats prefer to nest in locations off the ground and rarely dig burrows for living quarters if off-the-ground sites exist. 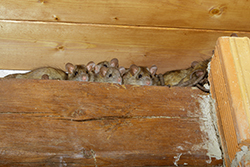 Roof rats, like house mice, are active mostly at night. They have poor eyesight, but they make up for this with their keen senses of hearing, smell, taste, and touch. Roof rats constantly explore and learn, memorizing the locations of pathways, obstacles, food and water, shelter, and features of their environment. They quickly detect and tend to avoid new objects and novel foods. Thus, they often avoid traps and baits for several days or more following their initial placement. Inspect your yard and home thoroughly. If the answer to any of the following questions is yes, you may have a roof rat problem. Is there evidence rodents are feeding on fruit/nuts that are in the trees in your yard? 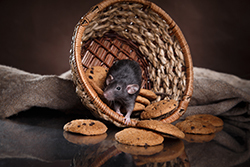 Roof rats eat and contaminate foodstuffs and animal feed. They also damage containers and packaging materials in which foods and feed are stored. Roof rats cause problems by gnawing on electrical wires and wooden structures such as doors, ledges, corners, and wall material, and they tear up insulation in walls and ceilings for nesting. If roof rats are living in the attic of a residence, they can cause considerable damage with their gnawing and nest-building activities. They also damage garden crops and ornamental plantings. 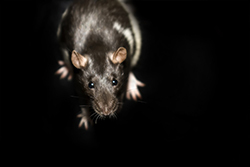 Among the diseases roof rats can transmit to humans or livestock are murine typhus, leptospirosis, salmonellosis (food poisoning), and ratbite fever. Plague is a disease that roof rats can carry. Call ApolloX Pest Control for roof rats pest control in the Fairfield County CT towns of Fairfield, Black Rock, Bridgeport, Cos Cob, Darien, Easton, Greenfield Hill, Greenwich, New Canaan, Noroton, North Stamford, Norwalk, Old Greenwich, Redding (lower), Ridgefield (lower), Riverside, Rowayton, Shelton, Southport, Stamford, Stratford, Trumbull, Weston, Westport & Wilton.